You think John Byrne, you think X-Men, right? Or Fantastic Four maybe? Or Superman? Or, oh, I don’t know — you pick one. Anyway, Spider-Man might not be the first hero you think of when you think of the Bronze Age superstar, but that’s cool. 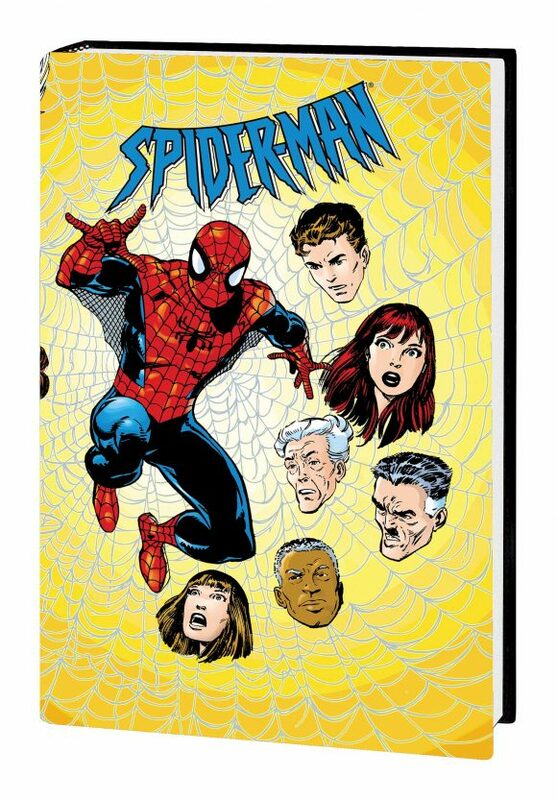 Because if you dig Byrne and you dig old-school, wall-crawling action, then you’ll want to save your pennies for this spring’s Spider-Man by John Byrne Omnibus. The book is listed in Marvel’s latest solicitations, released Wednesday. Every Spider-Man story illustrated by the legendary John Byrne, collected in one huge hardcover! Spidey is put through his paces as he teams with the Hulk, the Wasp, Ms. Marvel, Iron Fist, Captain Britain, Man-Thing, Thor, Luke Cage and more — and battles Man-Wolf, Doctor Octopus and the Ringer! Revisit chapter one of Spidey’s history as the web-slinger faces his most fearsome foes for the first time! And a legend is reborn as Peter Parker returns to the Spider-Man costume, kicking off an amazing run featuring daring drama, fresh faces and classic foes! Collecting MARVEL TEAM-UP (1972) #53-55, #59-70 and #75; AMAZING SPIDER-MAN (1963) #189-190, #206 and ANNUAL #13; PETER PARKER, THE SPECTACULAR SPIDER-MAN (1976) #58; SPIDER-MAN: CHAPTER ONE #0-12; AMAZING SPIDER-MAN (1999) #1 (A & C STORIES), #2-11, #12 (A STORY) and #13-18; and MARVEL AUTHENTIX: AMAZING SPIDER-MAN #1. This is pretty epic news.